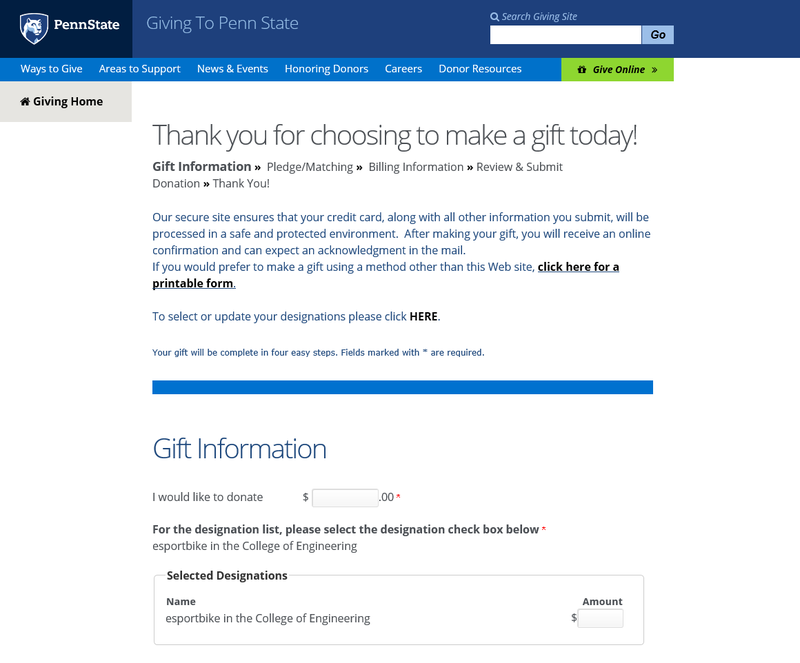 Penn State e-Sportbike is a research group dedicated to developing advanced motorcycle technologies. Key goals are to improve rider safety, vehicle performance and efficiency including the reduction of fossil fuel consumption and greenhouse gas emissions. Housed within the Thomas D. Larson Transportation Institute at Penn State this group serves as a platform for hands-on, real-world, student and faculty collaboration. Under the direction of research faculty, Timothy Cleary the team includes a volunteer student group as well as students earning course credit in the College of Engineering Capstone Design Program. Vehicle simulations are complete. Now the team is shifting efforts to component selection and acquisition. Battery pack design as well as an interesting acoustics project are now underway. 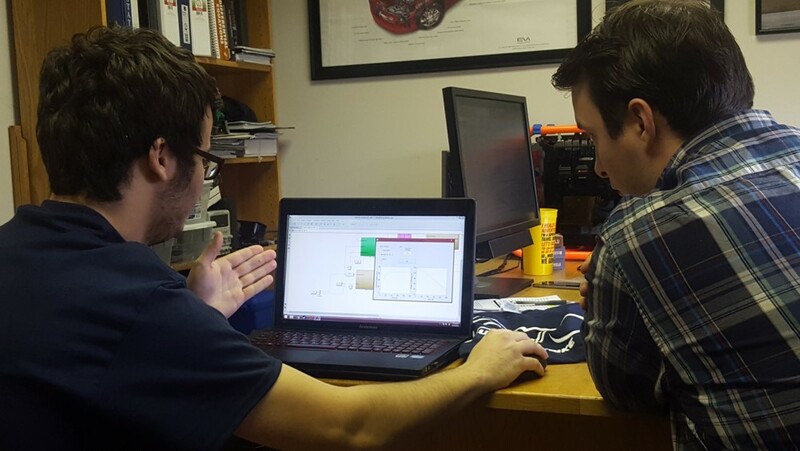 Other students are working to utilize the original instrument cluster through reverse engineering and embedded single board computer development. The team is also researching professional riders to support testing and racing later this year. 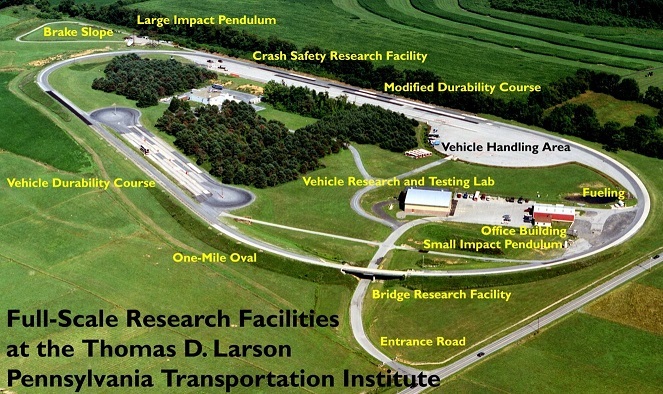 LTI's full-scale Transportation Research Facilities include a test track facility designed to accommodate a broad range of research activities. The facility features a 1-mile oval, a large vehicle handling area, and a vehicle durability-testing course that allow additional pavement, vehicle, and appurtenance testing. This program survives purely on donations from corporations and individuals like yourself. Initial donations have supported our bike and battery pack build, now we need to purchase a drive motor and inverter system. Without it we're at a standstill. Please consider donating to this research program and support this unique student experience. Any funds donated through this website go directly to the program and are only used to support this activity by paying for parts and services necessary to design, build, and race our advanced vehicles. We now have a professional grade vehicle lift thanks to a donation from Snap-On. This will greatly increase or productivity and allow easier access for the multiple groups currently working on different areas of the bike. It also supports our safety first attitude. 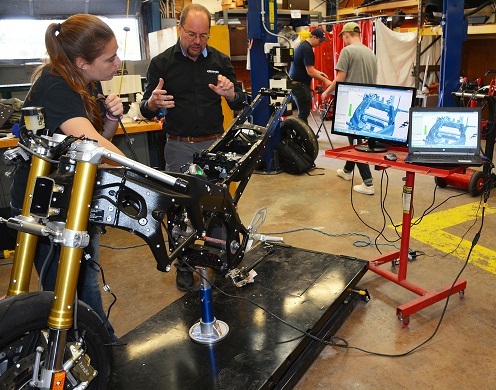 Students from Penn State’s recently formed e-Sportbike team are already deep into their first major project, 3D modeling and design to convert a high-performance motorcycle to an all-electric powered racing vehicle. and staff are welcome as well as industry sponsors and motorsports enthusiasts. Want more information on how to get involved?